What a find! 122 acres M/L on NW corner of SE 85th & Paulen Rd. First time on the open market in years and it has it all! SE 85th is paved from SE Croco Rd. High hill on west side with heavy hardwood trees, productive bottom crop land and Lynn Creek wanders through property supporting abundant deer, turkey and other wildlife. Small house on SE 85th (3.44 ac) is excluded. Northern boundary is Landon Nature Trail. Cropland subject to farmers rights. 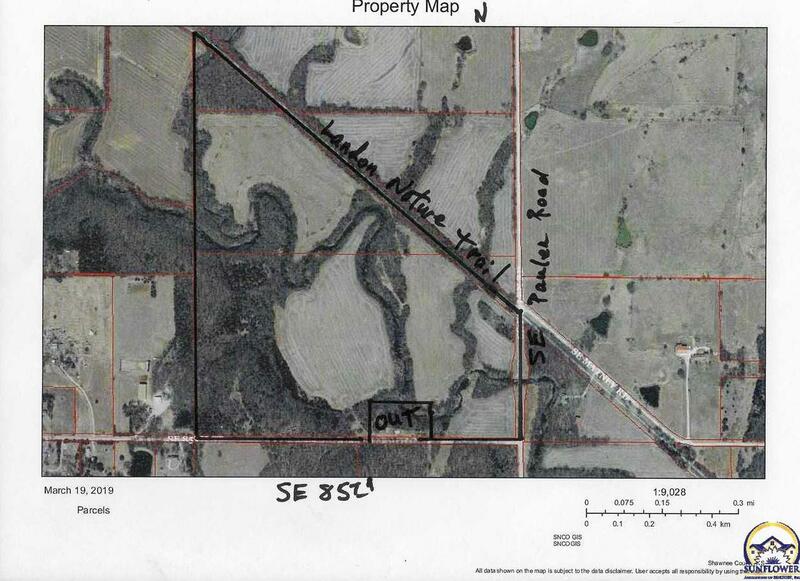 0000 85th St (MLS #206208) is a lot/land listing located in Berryton, KS. This property was listed on 03/19/2019 and has been priced for sale at $336,188. Nearby zip codes are 66524, 66542, 66546, 66609 and 66619. This property neighbors other cities such as Overbrook, Tecumseh, Topeka and Wakarusa. Listing Last updated 03/20/2019 11:00 AM CDT . Some properties which appear for sale on this web site may subsequently have sold or may no longer be available. Walk Score provided by Walk Score. Mapping data provided by Google and Bing.